WebP is a new image format developed by Google. Designed to provide users with the option of both lossless and lossy compression, the WebP format features much greater levels of compression compared to some other well-known formats. Ever since Google announced WebP as its new open standard lossy compression true-color web graphics in 2010, WebP has undergone continuous development. Based on the lossy VP8 video compression algorithm, WebP uses predictive coding to compress video keyframes in a lossy style. By coding in a predictive manner, many zero value pixel residuals are generated allowing for much higher levels of compression. Also featuring a lossless option known as VP8L, WebP is capable of providing users with a compression mode that serves as an exact reconstruction of the source image. Essentially, the goal of WebP is to offer better-looking, smaller images that run faster on the web. With image compressions that on average are 30% smaller than PNG, JPEG and JPEG 2000 with no loss of quality, WebP has become an attractive compression option. Although industry support for WebP has grown significantly, and the format is now compatible with a variety of software and web browsers, there’s still a ways to go before it's supported everywhere. WebP is still a relatively new format creating many scenarios in which users would prefer (and need) to work with a JPEG, JPEG 2000, PNG, or PDF file. In order to accomplish that, users must convert their WebP files into other formats. That's where we can help. 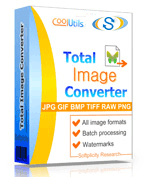 Our Total Image Converter lets you covert WebP images into other formats, along with providing you access to a variety of customization options. Here at CoolUtils, our philosophy is based on access. We understand that the digital world is not one-size-fits all. Therefore, we specialize in the development of conversion tools that help you take whatever file format you’re handed and convert it into the format you need. 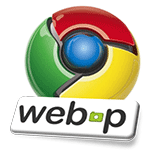 Check out our WebP Converter and get started converting your WebP files today!